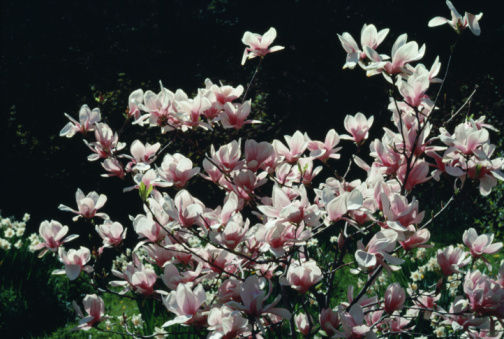 What Are the Different Types of Magnolia Trees? There are well over 80 different species of magnolia trees around the world. 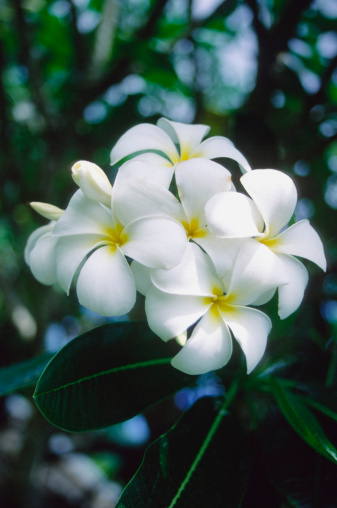 They are easy to grow, and have very attractive foliage that gives of a satisfying fragrance. Magnolias are an evergreen, but they stay attractive year-round, even when they shed their flowers. They are best planted early in the spring. However, mulch should be applied. The Southern Magnolia is one of the most popular magnolias within the United States and Asia. It grows well in zones 7 though 10, and it has very large flowers that can be smelled from far away. Sweetbay Flower isn't as large as the Southern Magnolia but is just as popular. They also grow well in zones 7 through 10, and are best planted near walkways, or lawns. Saucer Group is a deciduous variety of Magnolia. They primary grow as tall shrubs in walkways, on patios, or around mail boxes. The Star group is also a tall shrub variety of magnolia. The shrub types are mostly planted in public gardens. The Cucumber tree is grown as a medium sized tree. It is best for shaded areas, and the flowers are normally very small. The Yellow Popular is also known as the tulip tree for its tulip like flowers. It's also best for shaded areas, and has noticeable greenish flower.